Right off the bat, I think I deserve some bonus points for what must be the most unlikely headline in all of history. How can a movie about people with French names singing stirring anthems have anything to do with Internet marketing? Well, I’ll get to that in a moment. But firstly, let me absolutely implore you to go out and see Les Misérables on the big screen. Even if you hate musicals (or hate the idea of musicals) this is one of the best films you will ever see. The underlying story of hope, love, and redemption is something that we could all do with exploring more – as opposed to the usual Hollywood plotlines of badasses getting all the girls and killing loads of people for no good reason. Now how do Internet marketing and Les Misérables connect? 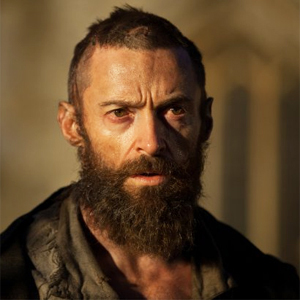 The character of Jean Valjean (pictured), an ex-convict turned man of God and all-around nice guy, can give us a lot of inspiration for how we *should* conduct ourselves in business. You see Jean Valjean, once he has been redeemed, spends the rest of his days helping people who are unable to help themselves. He does this seeking no reward, but instead because it is the right thing to do. Because of this things always “work out” for him in the end – he becomes a successful businessman and loved mayor (although he has to leave when his cover is blown by the dastardly Inspector Javert). He lives a life that is happy and full, because he places the greatest amount of effort possible into helping others. Contrast this with the money-grabbing attitudes of the Thénardiers (the dodgy inkeepers). Everything they do is designed to shave that extra little bit of money from their customers, without providing anything of use. The end result? They go broke and have to resort to begging for their cash. Now this all relates to Internet marketing, because there is a salutary lesson to be learned here in terms of how helping others can be a path to success. I don’t have the cleanest track-record when it comes to IM (as my cookie stuffing guide post will attest – although I believe there is a great use there for “ethical” cookie stuffing) but these days I always try my hardest to help others. My ebooks, such as Keyword Research Redux, I either give away for free or sell for a small sum that anybody could afford (if someone’s trying to sell you an ebook for $97, they’re just out to rob you blind in the ebusiness niche). If you email me, I will always provide free help and assistance. I even help out friends and family with their SEO for free. I’m not saying that you have to shy away from making money – there’s nothing wrong with making money at all. After all, that’s what I’m here to teach. However, there are ways you can do it that give you a great deal of profit, whilst also helping others. Treat everyone you deal with in the course of running your business with a bit more kindness and consideration, and you truly will be rewarded in the end. Click here for my FREE Super Affiliate Secrets report.